Hospital Saint Nicholas in Saint-Marc is a 300-bed facility that was badly hit by the 2010 earthquake and it has been struggling with insufficient medical professionals, equipment and supplies for a long time. In 2011, Clinton Bush Haiti Fund had granted a Fund of $1,812,220 to its sister organization Zanmi Lasante in Haiti to improve the scope and quality of the public health system in the country. The development program undertaken for Hospital Saint Nicolas will improve (a) the present doctor-patient ratio, (b) train new 18 Haitian family practice physicians, (c) retain 80 to 100 local nursing staff who will further train 1,000 health workers, and (d) increase the scope and quality of health care provided by Hospital Saint Nicholas as a referral hospital for the 1.5 million inhabitants of Artibonite region. Haiti is a country with high rates of infant mortality (58.0/1,000) where only 24% of births are attended by skilled health personnel and 523 women die for every 100,000 births and 1 in 10 children dies before the age of 5. St. Damien Hospital is a pediatric hospital that offers best pediatric treatments in Haiti at a nominal cost. In 1998, after the submission of an investigative report on the nonexistence pediatric medical facility in Haiti by Father Richard Kay, Nuestros Pequeños Hermanos (NPH) opened the first pediatric hospital, 'St. Damien' in an abandoned hotel in Petionville. Father Kay is well known in Haiti for his orphanage named St Helena intended for orphans and abandoned children. The present St. Damien Hospital in Tabarre was opened in December 2006 to accommodate more children by replacing the earlier set up. The hospital is funded through the donations from benefactors from all around the world, especially in the U.S. and Europe. The devastating earthquake of 2010 has completely destroyed the 2006 building. Today, St. Damien Hospital in Tabarre is a referral center that provides high quality medical treatment for disadvantaged and sick children in Haiti. Most of the patients come here to treat infectious diseases like tuberculosis, HIV, malaria or kidney infection, cardiovascular diseases and cancer. 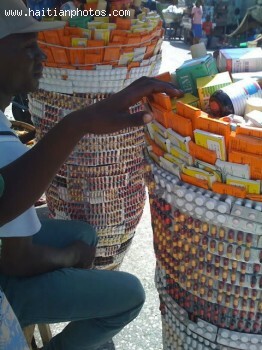 EMPACT Haiti, or PAPMO, has been in operation since 2010. The program trains EMT's for the field within the country's capital. 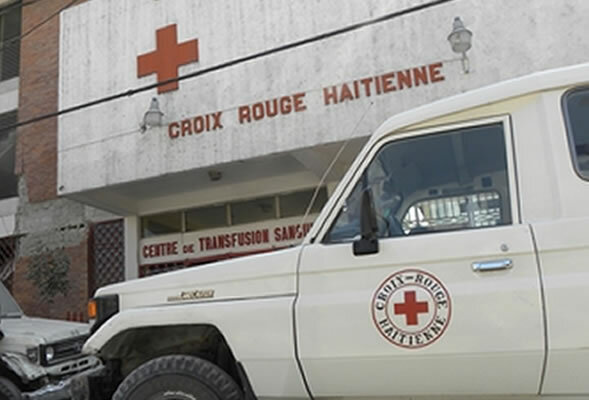 Working through the Bernard Mevs Hospital, the program's target is to serve the one million citizens of the city with critical treatment before they get to Port-au-Prince's one trauma hospital. The entities responsible for the venture have aims to expand the emergency services of EMPACT, hoping to teach thousands, impacting the entire emergency service system and calling for an increase development.  Here is a picture of Hopital de l'OFATMA and Hopital Immaculée Conception, Cayes. President Martelly, First Lady Sophia, and ministers of Public Health and Population; Social Affairs and Labour; and Office of Insurance Work Accident; and Sickness and Maternity (OFATMA) gathered to inaugurate OFATMA's new hospital in Les Cayes. The Taiwanese government helped fund the project. The state-of-the-art hospital contains consulting rooms; operating theatres; radiology, laboratory, pharmacy, and sonographic services. 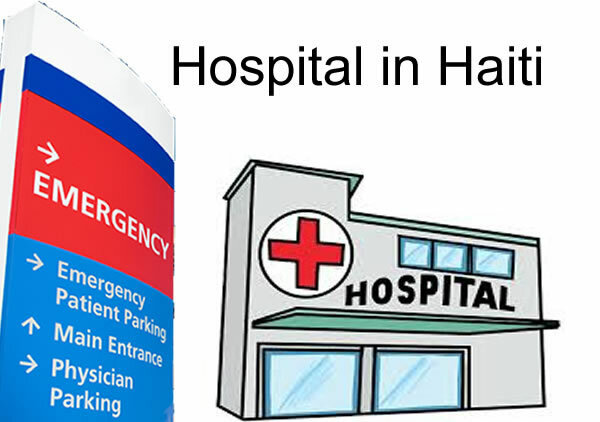 Martelly said the up-to-date hospital will access quality healthcare for all Haitians. We only have one objective at PULMOMED-24 Hour Life Support which is to improve the quality of life for the large number of people in Haiti affected by respiratory diseases. We provide treatment to all those affected by Cystic Fibrosis. At PULMOMED-24 Hour Life Support, we provides airway clearance products, Spiro PD Personal Spirometers, pharmaceuticals for cystic fibrosis, VitABDECK water solubilised vitamins and Hormel Health Labs Thick & Easy food thickener for dysphagia and swallowing difficulties. "Clinical Surgery at Lambert Sante" at Petionville provides the best health care services to the Haitian people and it is capable to handle most serious medical cases. It is a collaborative clinical facility in association with other neighboring hospitals including Canapé-Vert and Communaute Haïtienne. 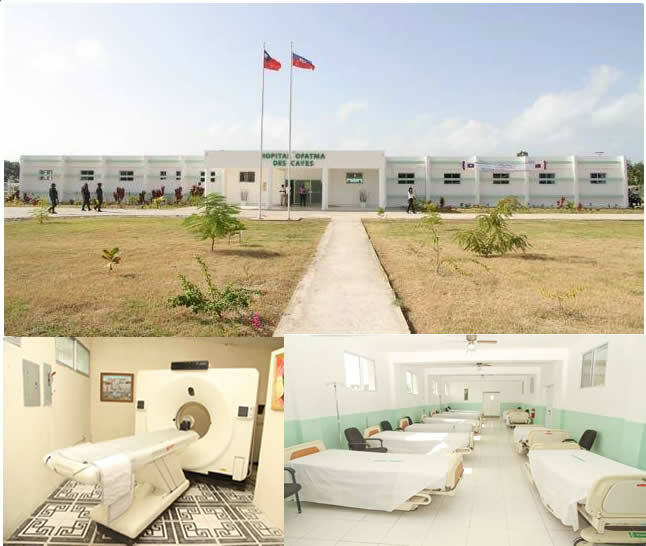 The institution is a recipient of Merit Certificate from the Haitian Ministry of Public Heath and Population for its immense medical services to the 2010 earthquake victims. Their regular services include: (a) Private consultation (between 9am - 3pm) on orthopedics, trauma, gynecology, obstetrics, urology and odontology, and (b) Other services like laboratory (8 am to 4 pm), pharmacy, treatments and investigations on all types of pathological processes, such as, radiology, maternity, surgery, microsurgery, cardiac surgery, burn and emergency care. Clinical Surgery at Lambert Sante is open day and night (24 hrs). The consultation fee starts from 1,500 Gourdes depending upon the doctor you choose to visit. Surgical fee depends upon the type of surgery is needed. Contact: Clinique Chirurgicale Lambert Santé: # 75, Rue Lambert, Pétion-Ville, Haïti. Phone: (509) 3706-8306 / (509) 4651-9435 and (509) 3702-3646. 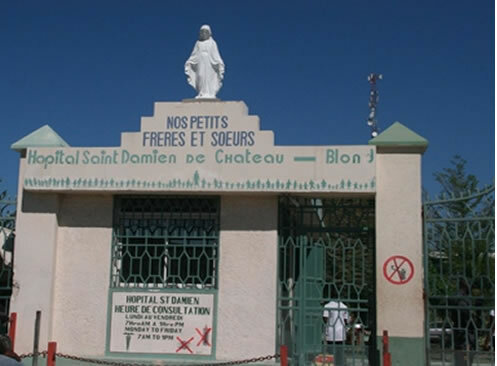 "Hospital St. Croix- Leogane, Haiti" is a Leogane based hospital under the ownership of the Episcopal Church of Haiti (EEH) that operates in association with the American the Presbyterian Church. The hospital has 120 general beds for patients. 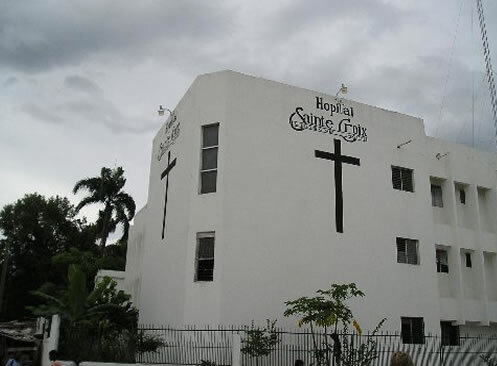 The medical programs of the hospital were initiated by Reverend Pierre Thevenot in 1968 with the donation of a small dispensary by Mrs. Edith Cutler who was a regular patron of many important programs undertaken by the Episcopal Church. In the beginning, under the initial physician-directorship of Dr. Etienne, the dispensary had space for two wards only without any inpatient bed. Thereafter, in 1973-74, with the construction of expanded facilities, EEH entered into a partnership with the U.S. Presbyterian Church based in Atlanta. 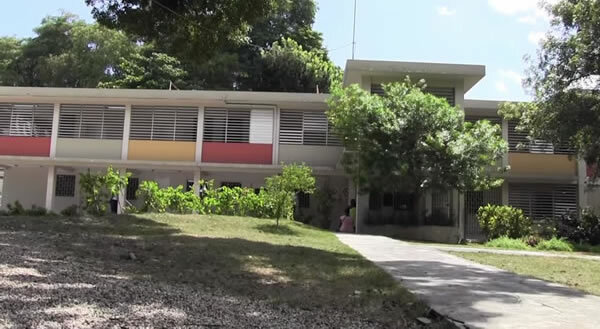 Hospital St. Croix- Leogane was created out of a call by the Medical Benevolence Foundation (MBF) in 1963 to involve committed Presbyterian physicians to serve others around the world. Today it is a fully functional hospital that serves over 250,000 people in the area through its 24 hours emergency room, four operating rooms and laboratory testing facilities. It also trains and supplies several hundred midwives and community health workers to the more remote regions of the country. St. François de Sales Hospital has been recently designated as a university teaching hospital under the University of Notre Dame of Haiti. 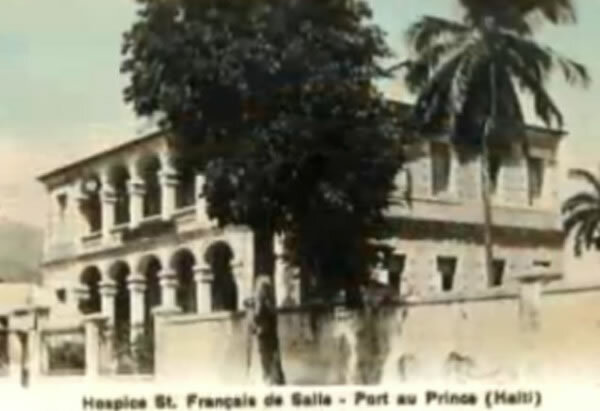 The hospital was established in Port-au-Prince in 1881. Before the earthquake in 2010, the hospital employed 291 people and had 117 beds. The devastating earthquake destroyed 80% of the hospital building and took lives of nearly 140 patients and staff members. Since the violent tremor, it is operating in tents, offering simple acceptable level of comfort and quality care. Now, at the original site of St. François de Sales Hospital in the heart of Port-au-Prince, a modern, 120-plus bed teaching hospital is taking shape. During the period of construction, the present facilities will relocate temporarily--for about 12 to18 months, to the Grand Seminary of Notre Dame of Cazeau, approximately twelve miles from the current site. Who will be the next president of Haiti?